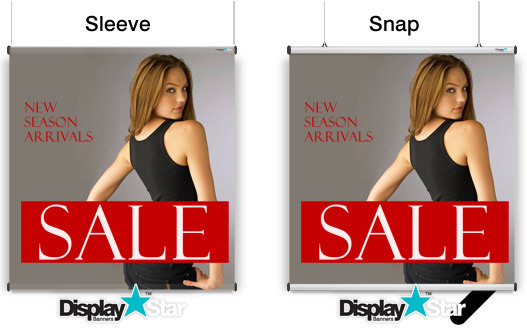 Display Star Banners is popular for shop hanging window posters, indoor displays and exhibition fabric banners. Finished prints have a slight glossy sheen liked by visual merchandizers and fashion promoters. 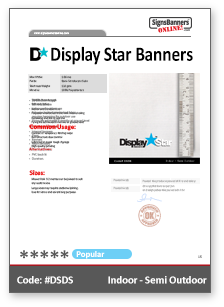 The dsds (Display Star Banner) material is a durable & lightweight fabric designed with hanging and presentation in mind. When printed, the material shows a 'sheen lustre' liked by fashion and retail which gives imagery such as 'photographic' the appearance of gloss, taste and class. dsds is well liked by retailers for both ease of use and the print beauty achieved. 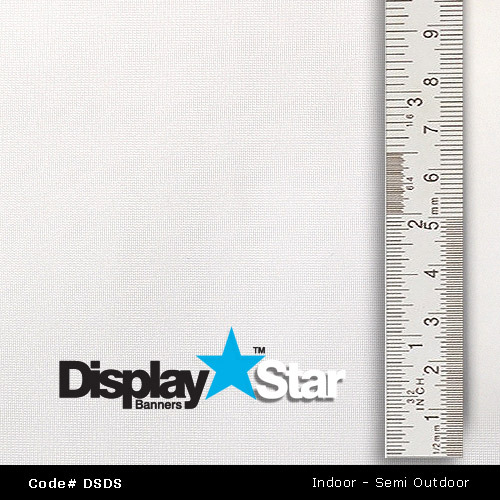 The Display Star Banners can be made with a number of different finish & fixing options such as sleeves for hanging, eyelets or hook n loop (Velcro), as well as being suited for 'stretch' frames and pop up wall displays. 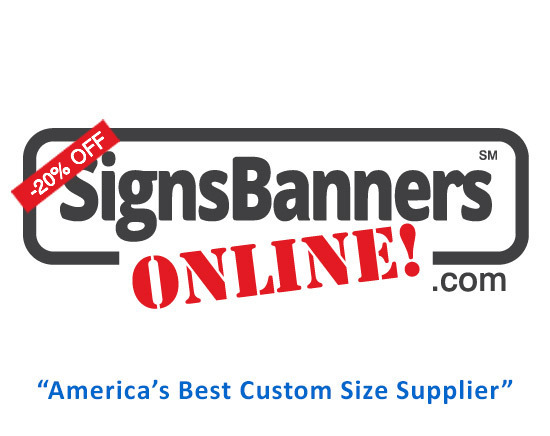 A few weeks at Signs Banners Online..